Image is everything and you want your customers to remember you with an image that sells! 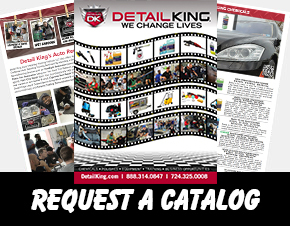 Detail King's Creative Department specializes in creating Custom Logos and Auto Detailing Business Cards for our customers in the automotive reconditioning and appearance industry. Detail King can design your own professional logo and business cards for your auto detailing business. Maintaining a professional image is vital to your success. Our creative dept. 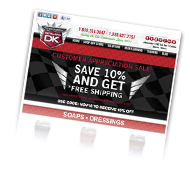 has designed hundreds of auto detailing logos and business cards and can help you brand your business and get it noticed in your community. Separate your business from your competitors and show how professional you are. We can help!